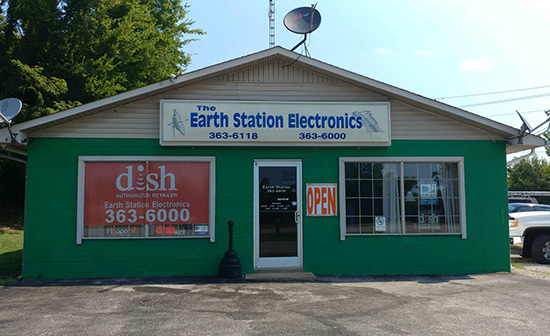 Earth Station Electronics is a locally-owned and family-operated business, serving the wonderful people of Pulaski, TN for over 30 years. We specialize in all your entertainment needs, and go above and beyond to make sure you have everything you need to fully enjoy your next television-watching experience. We are a DISH provider and we do complete satellite tv installations! Earth Station Electronics will take care of you from start to finish. We install antennas, satellites and cell phone boosters. We also mount televisions and set up surround sound systems. We offer free estimates and next day installation. Our certified technicians possess in-depth industry knowledge to deliver unparalleled service. With over 30 years of experience, Earth Station Electronics is your go-to source for satellite TV service in Pulaski, TN. Our customers know we get the job done right, the first time. It’s why we have been the premier DISH provider in Pulaski for decades. We attribute our track record of success to superior service and products. We install industry-leading equipment, using industry-leading methods. Our highly-trained technicians are fully licensed and insured and bring extensive experience to every job. When you want to enhance your home entertainment, we are your perfect partner. Whether you need to install new satellite service or simply want boost your bass, we can help. Contact us today for a free estimate on any of the products or services we offer. We invite you to join the long list of satisfied customers who have benefited from working with our experienced, considerate team. We offer more than 30 years of hands-on industry experience. We hold multiple industry certifications and are fully insured for your peace of mind. We offer free estimates on all work we do and honest pricing on all our products. We provide everything you need for an enhanced home entertainment experience. Contact Earth Station Electronics today to enjoy better sound, selection and quality entertainment tomorrow.